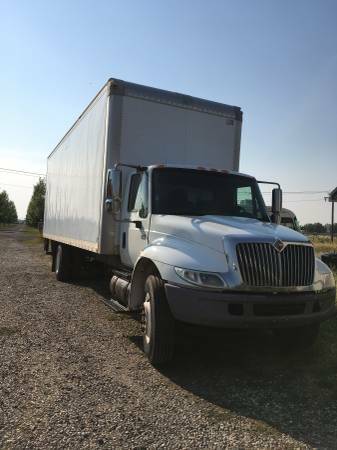 2004 International 440 DT466 Diesel Box Truck with a 2500# Hydraulic Lift Gate - Box is 8’ wide x 9’ high x 28’ Long. New tires, fresh oil change, runs great and is ready to go. You do not need a CDL to drive because its GVWR is 25,500. The truck has 435k which is only half of its suggested 1 million mile fleet manual engine rebuild (this truck has been serviced regularly and should go to a million miles plus).